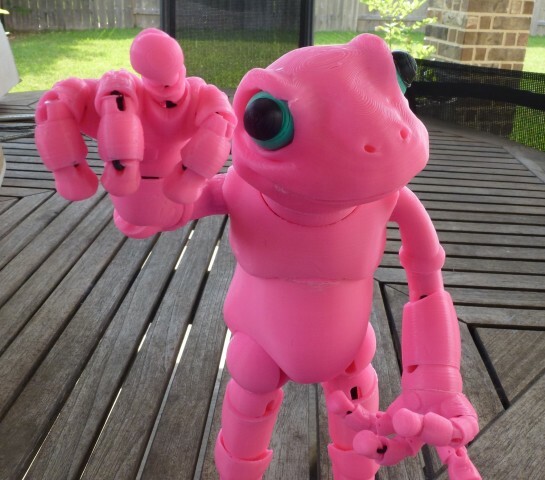 Froggy doll #3DThursday #3DPrinting « Adafruit Industries – Makers, hackers, artists, designers and engineers! Finally got around to redesigning my froggy doll – this the test print. He now has movable eyes and jointed fingers. He can also stand by himself.